Okay, I’m going to go off on a tangent here. There’s something odd about urinals in Berlin. And I don’t like what it does to me. In the UK, public urinals usually just have a few bleach blocks at the bottom. Not always, but that’s about all that’s in there. Occasionally, you may find something to prevent chewing gum going down the drain – some kind of drain guard perhaps. In Germany, they’ve taken things a step further. Urinals in the bars and cafés in Berlin often have goal posts. 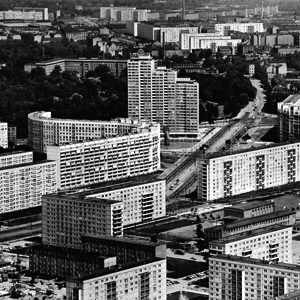 Genau, little plastic goal posts. They’re fixed on a grass-green bit of plastic gauze. I assume there’s a problem that needed to be fixed but I don’t know for sure. 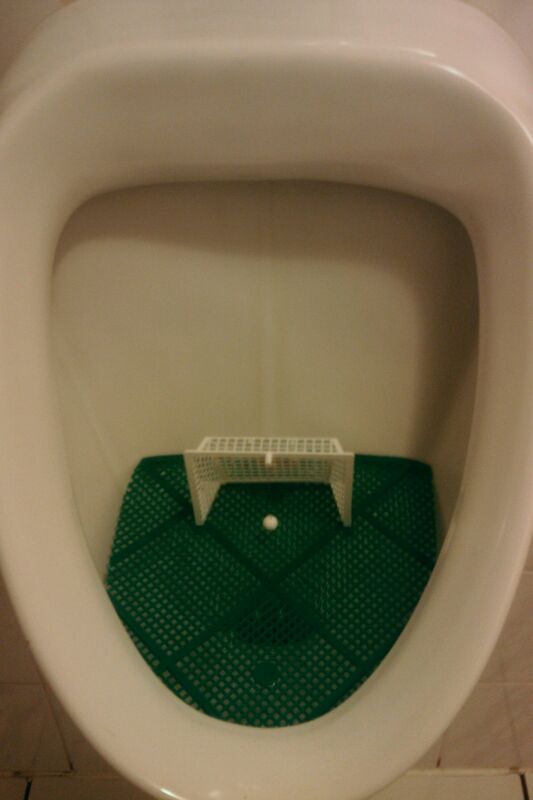 Either way, the urinal goal post manufacturers have discovered a way to make us careless males aim a little better. When I first saw these, I felt a little insulted. How do you change male behaviour…? Well, make it football related, of course. Get the lads to wee in the goal posts. It’s insulting. It’s patronising. It’s a bit like looking around Marks & Spencer or Boots at Christmas time for gift ideas. You get Top Gear shower gel or football shaped soap for dads and fluffy pink stuff for mums. Isn’t it a pity that gender roles in our advanced (?) civilised (!) societies are still based on the “Sugar and spice and all things nice” rhyme? It’s degrading to all of us. There is something about those little goal posts that work. It seems wrong to aim anywhere but at the goal. If you look closely at the image above, you’ll even notice that there’s a little football dangling from the cross bar. You’re just going for a quick Jimmy Riddle and…GOOOOAAAAAL! It’s vaguely like taking a penalty – though, that is over stating it a little. (NB. I’m avoiding ‘pee-nalty’ puns here). The first time I used one of these urinals, I left the gent’s with a deep frown. How can a stupid plastic goal post in a urinal conjure such contradictory thoughts: disappointment with contemporary gender roles, the tyranny of behavioural conditioning and the pleasure of hitting the back of the net? And all in the space of a wee. This entry was posted on 30/11/2010 by hawkinsian in Uncategorized.